Valencia, 29/10/2013. For another consecutive year, legal directory Best Lawyers has named Antonia Magdaleno, Senior Managing Partner of the firm, amongst Spain’s best legal specialists in Insolvency Law (Insolvency and Reorganization Law), and has also been chosen as “Lawyer of the Year 2014” in the Valencia region for the mentioned legal practice area. Every year Best Lawyers publishes in a variety of countries their legal directory, as a reference listing the best lawyers within each legal specialty related with Business Law. 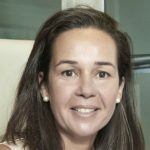 Being this one their sixth edition, Best Lawyers has been including Antonia Magdaleno for their past 5 ones, thus uninterruptedly since 2009, all which confirms Antonia Magdaleno as one of Spain’s top insolvency lawyers. Furthermore, in this latest edition Best Lawyers has also distinguished within the same legal specialty founding Partner Beatriz Carbonell, as a definite proof of the firm’s distinction and authority amongst such legal practice area. From all existing international legal directories, we can assert that Best Lawyers is the most prestigious one amongst the legal profession, since Lawyers themselves are the ones in charge of voting who have been their most highlighting colleagues in their profession over the last year. In addition, designation as “Lawyer of the Year” is only awarded to Lawyers who have obtained impressive voting averages by their peers, and only one designation can be made for each practice area and metropolitan area. In this case, Antonia Magdaleno has been honored for the practice area of Insolvency and Reorganization Law, and the metropolitan area of the Valencia region.